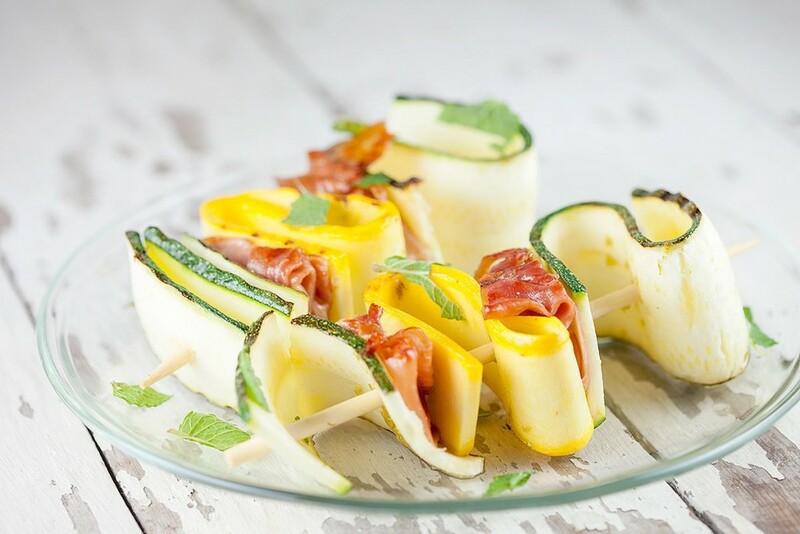 These brie and soft pear bites don’t need a lot of ingredients or time. Simple bites with brioche bread and juicy ripe pears. 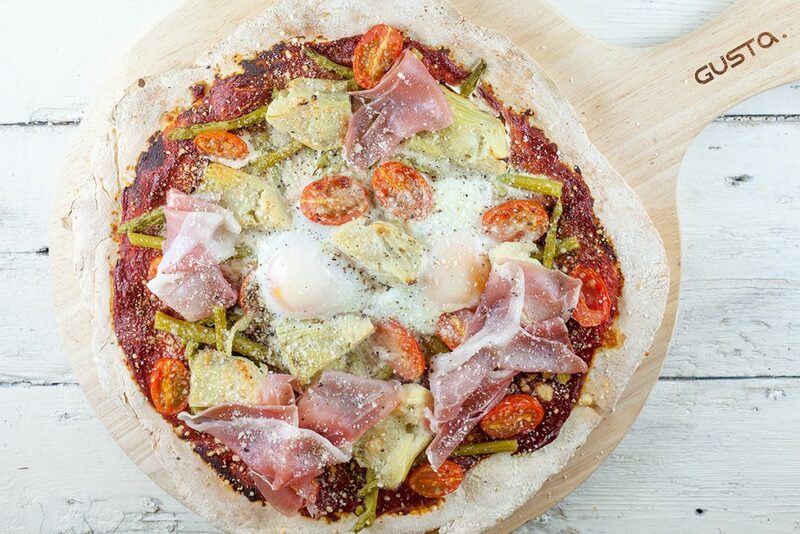 An easy pizza for Easter, filled with green asparagus, artichoke hearts and eggs. Recipe for 4 people (2 pizzas) and ready within 20 minutes. This quiche with zucchini and Serrano ham can be made without ham for a vegetarian version. 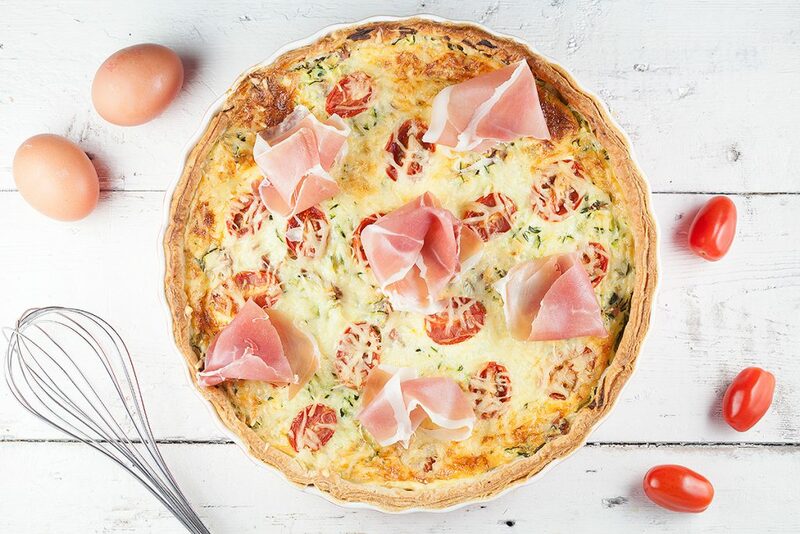 A quiche is a delicious main dish, but can also be served for lunch. An amazing center piece at the christmas dinner, or any fancy dinner. 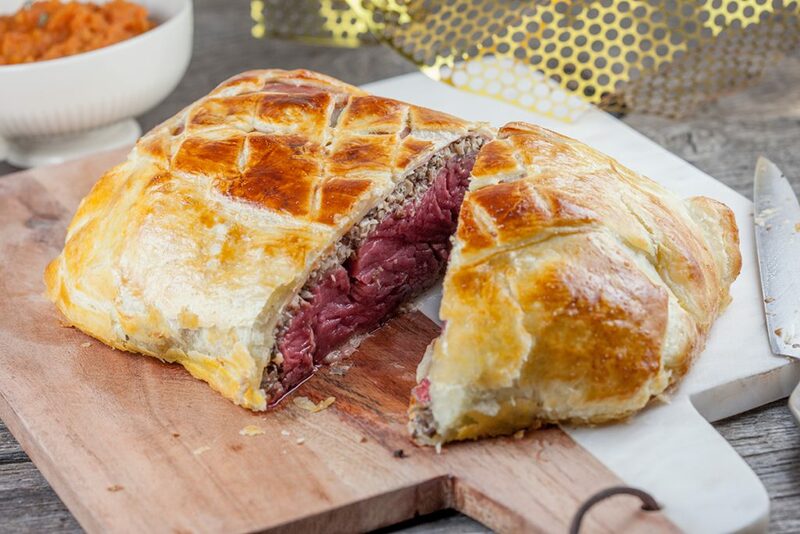 A beef Wellington is made with tender beef, mushrooms and crunchy puff pastry, mm! 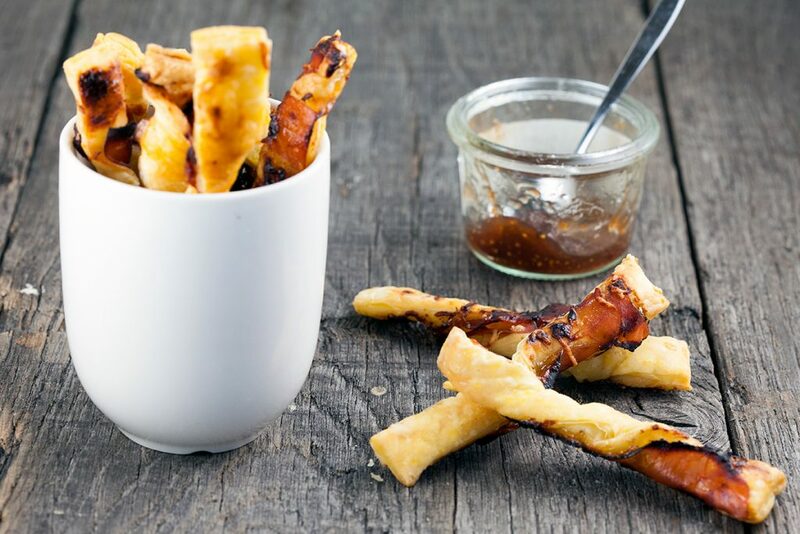 Puff pastry ham and cheese sticks are easy and quick. 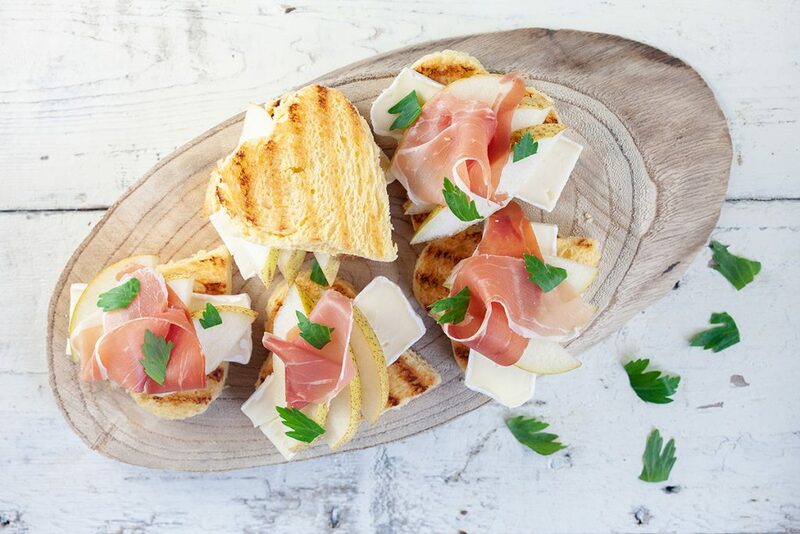 Extra delicious with figs for a hint of sweetness with the saltiness of the ham and cheese. Want to impress someone with an amazing starter? 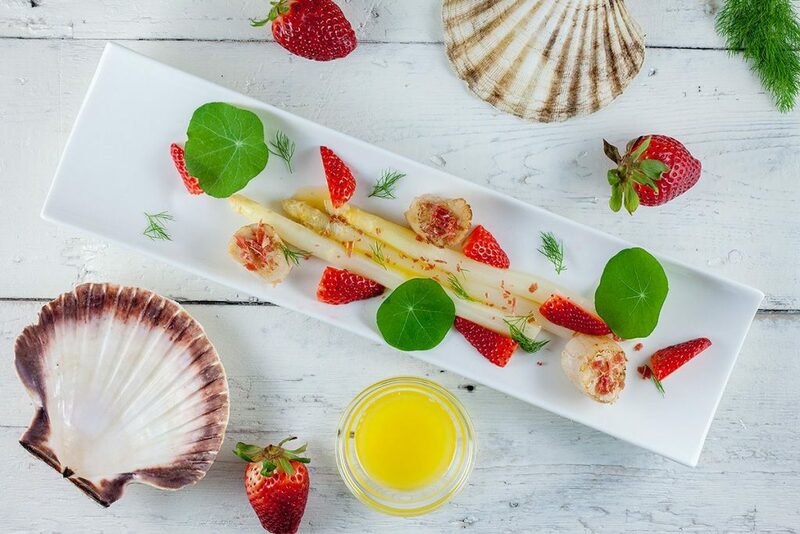 Then you should definitely try our scallops and asparagus strawberry salad! Amazing flavor combination! OMG YES, asparagus season has started. Are you also excited about that? 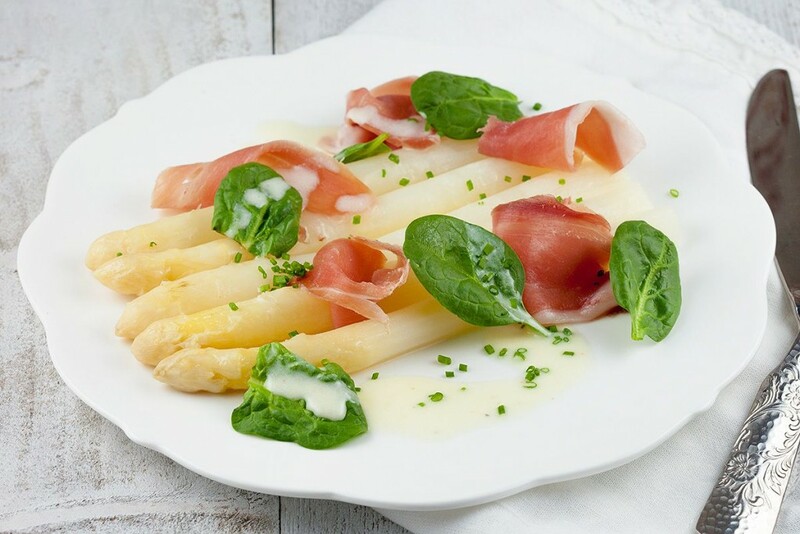 Start the season even better with this white asparagus and Serrano ham recipe. Homemade pizza dough is awesome.. and very easy! 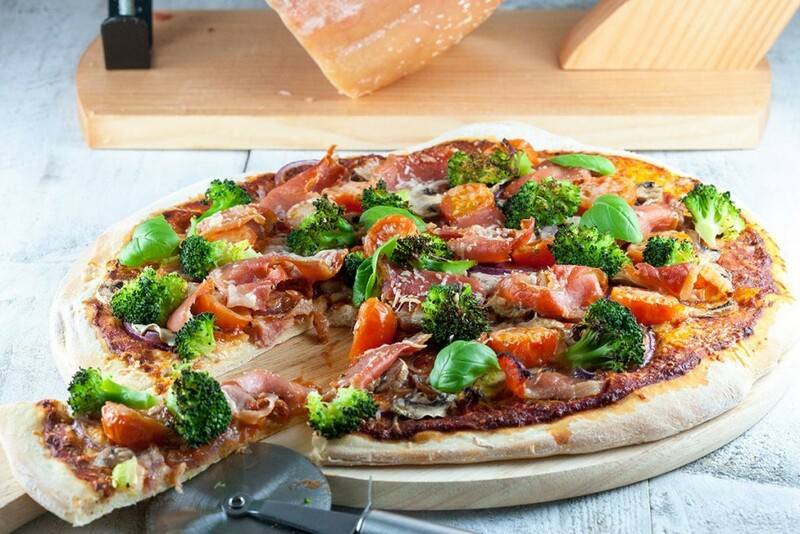 Serrano ham broccoli and basil pizza is flavorful and without the ham a lovely vegetarian pizza. Especially for the ones that smile when they notice fresh figs at the store. 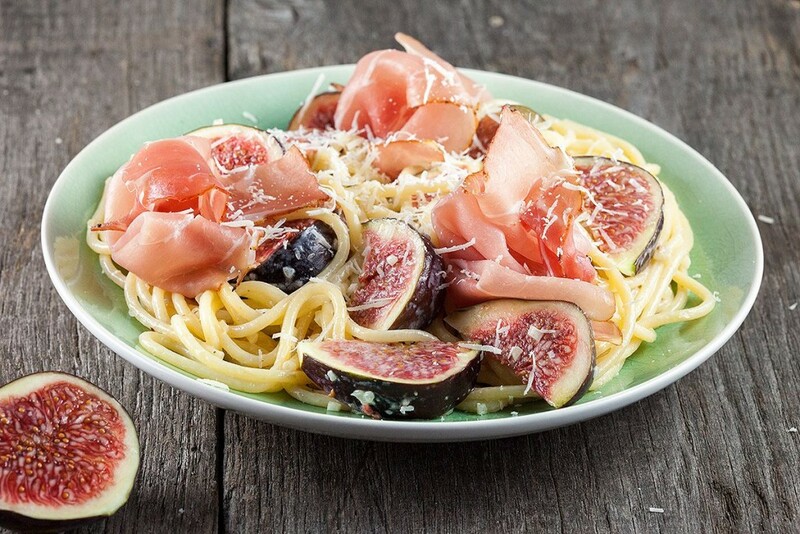 Creamy figs and ham pasta that’s ready in 15 minutes. 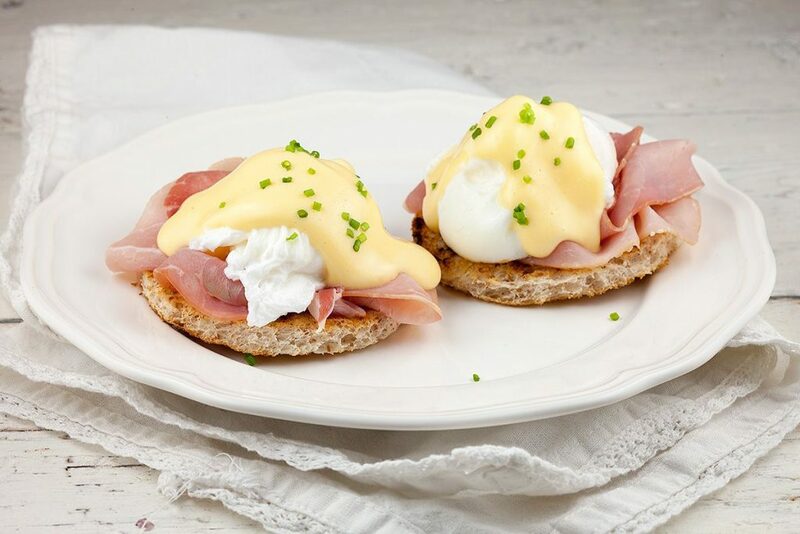 Easy and very delicious. Classic saltimbocca is made from veal cutlets, but you can easily use beef or even chicken. 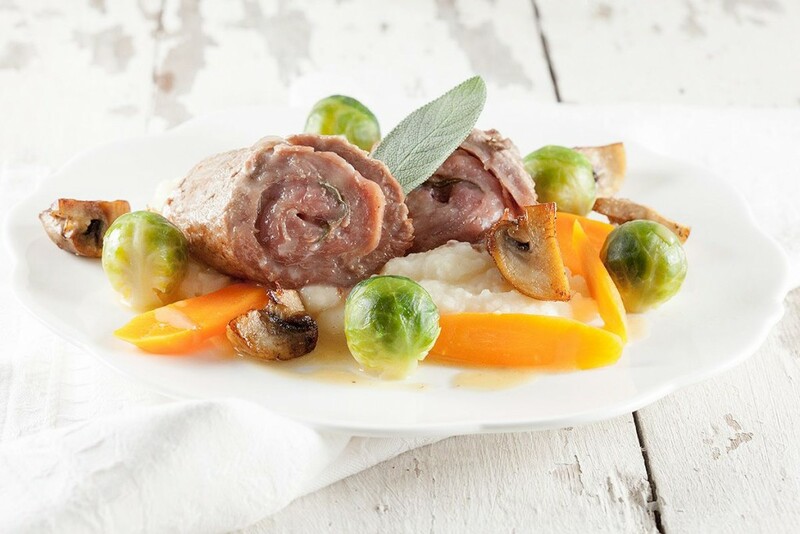 Serve with a silky smooth celeriac puree and Brussels sprouts.